True to its name, Lumberland is a beautiful forested area of magnificent hills and valleys where bald eagles soar. 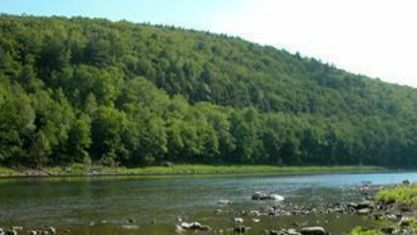 The Delaware River marks its southwestern boundary giving rise to fishing, camping, swimming, kayaking and canoeing. 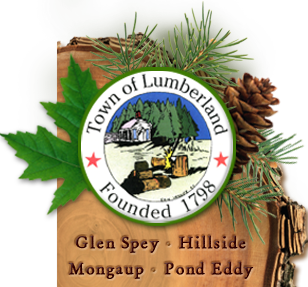 The Town of Lumberland is comprised of five hamlets of Glen Spey, Hillside, Mohican Lake, Mongaup and Pond Eddy. 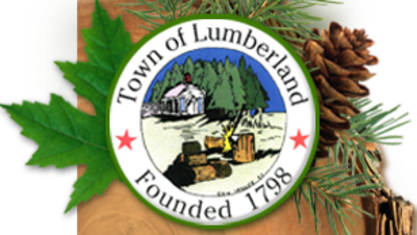 The Town of Lumberland was formed in 1798. Early occupations included farming, lumbering and quarrying. Much of the land was left rough until the 1860s when Singer Machine Vice President George Ross Mackenzie established his country estate. Over the years Mr. Mackenzie enhanced his 3,000 acre estate to include a school, now the Lumberland Town Hall, a church, orphanage and cemetery. By the 1880s the Mckenzie estate was know on the map as "Glen Spey" and included many elaborate summer mansions, some of which still stand today. A informal driving tour throughout Glen Spey highlights many of these fine structures and other architectural beauties. The two hamlets that rest along the Upeer Delaware Sceniv Byway, Pond Eddy and Mongaup showcase several original canal houses, but the town's other main arteries, county roads 31, 32, 41 and 42 reveal additional fine specimens such as two picturesque Ukrainian churches. 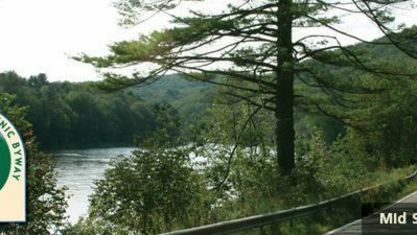 Mohican Lake is a 150 acre motorboat lake near Glen Spey in the southwest part of Sullivan County. The Town of Lumberland Cultural Series in the Town Hall, abetted by the presence of a restored 1894 Steinway grand piano, presents folk, jazz and classical concerts. The Town's history is celebrated in its Museum Room that features photographs, memorabilia of days gone by. and artifacts representing every hamlet in the Town of Lumberland, and which details the history of the D&H Canal in Pond Eddy. 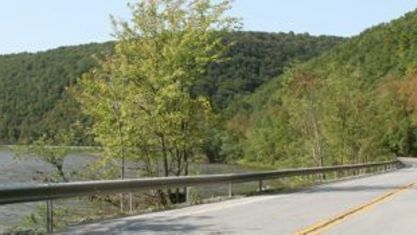 Circle Park is located on Proctor Road near Town Hall in Glen Spey, and includes nature trails, a playground and picnic area and is host to community events throughout the year. The Lumberland Pavilion is adjacent to the Town Hall and has picnic tables and a barbecue area. Pond Eddy Park has a playground located on Hollow Road in Pond Eddy. Also there are ball fields adjacent to Mackenzie Elementary School in Glen Spey. View our selection of available properties in the Lumberland area. Get to know Lumberland better with our featured images and videos.